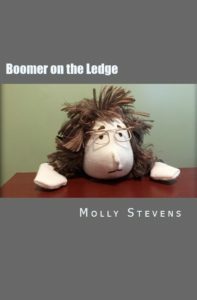 HOPress wanted to share the info about Molly Stevens, her book Boomer on the Ledge and her book party this weekend. 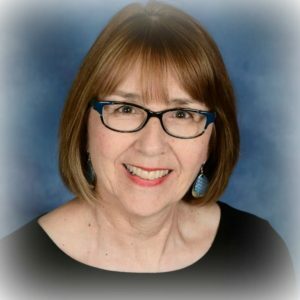 How does a daughter of a Maine potato farmer turned nurse turned writer face the truth about aging? With a lot of laughter. In her new pictorial book Boomer on the Ledge™ or BOTL™ (Humoroutcasts Press,2017), Molly Stevens challenges the assumption that aging is grim. Thus, Boomer on the Ledge was born. Stevens’ vision of the book includes photographs because she enjoys the creativity of using pictures to enhance her writing. The pictures also bring to life the most important part of the book – the BOTL doll who not only stars in this pictorial adventure but who resembles the author a great deal. Stevens added that although the book offered her many laughs from its inception, there were challenges. One of Stevens’ main goals with this book is to show Boomers the positives that come with aging. Stevens will be hosting a book launch party for Boomer on the Ledge on Saturday, October 28 from 2 to 5 PM at Seasons 427 Main St, Bangor, Maine. The book is available on Amazon in paperback and eBook formats. The doll will also be for sale at book signings and through the Shallow Reflections website. Well done, Molly! Boomer on the Ledge is a hoot. As an aging boomer I’d call it the Feel-Good book of the season, although my right knee still aches when it rains. Have you got a book for that? Congratulations on the release of clever read! Thank you, Dave. It’s not how many aches you have, it’s how much of a pain you are to others that really counts as you age. Gotta go take an Aleve. We’ve got rain in the forecast in Maine. Congratulations Molly! The more books about positive aging in this day and age the better. May your book find itself in the hands of everyone who will benefit from it. Thank you, Kathy. I get so frustrated with the stereotype of aging as a dismal time of becoming decrepit. I’m going to do what I can to bring positive aging to the forefront through humor! I’m so excited about the book launch party. I wish you could be there! I’ll get lots of pictures. I am sure there will be an abundance of aughter that will show up!